Under 30, coming from twenty different countries, enthusiastic about Europe. This is the profile of the 37 Millennials that participated to the European Millennials Lab in Siena from the 13th to the 18th of May, 2o16. The event was a workshop that brought out new ideas and best practices for the future of Europe from the debate between young citizens. The city of Palio has been the capital of European Millennials for six days, thanks to a project by the local University and the Ministry of Education, University and Research, in collaboration with the Conference of Rectors, the International Association of Universities, Zeranta Edutainment srl, and with the support of the City of Siena and the Monte dei Paschi di Siena foundation. 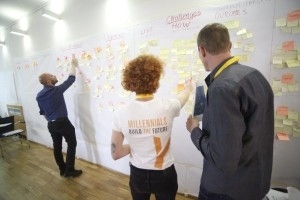 The Millennials, who took part in discussion and work groups, in-depth sessions and debates with scholars, journalists, members of the European parliament and representatives of European institutions, had been entrusted with the task of proposing an agenda for the new Europe, indicating the objectives, priorities and paths for the foreseeable future. 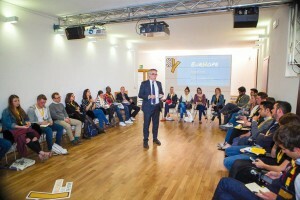 The May workshop has been the first of a series of events to be held in Siena, which aim to make the citizens between twenty and thirty years old – the so-called “Millennials” – the promoters of a more participatory and informed citizenship. Frediano Finucci, journalist, TG LA7, managing editor for economy and foreign affairs news. Siena is the home of SIY, because there’s no better place to talk about the future than a place full of history and tradition. Siena is a symbol of civic sense, quality of life, environmental protection, is a city of excellence, the archetype of culture and knowledge which houses one of the oldest universities in the world. 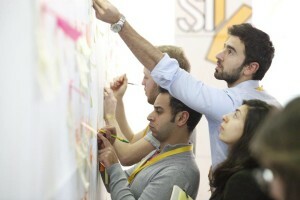 SIY is a project that involves the whole city as a laboratory for the innovation of modern society. 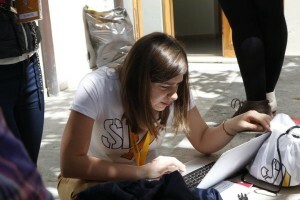 The evocative former Convent of Santa Chiara will be the house of the Millennials Lab. A great location in the center of Siena, a Fab Lab set up by the University of Siena to promote the development of cross skills and creative thinking through the use of cutting-edge technologies.